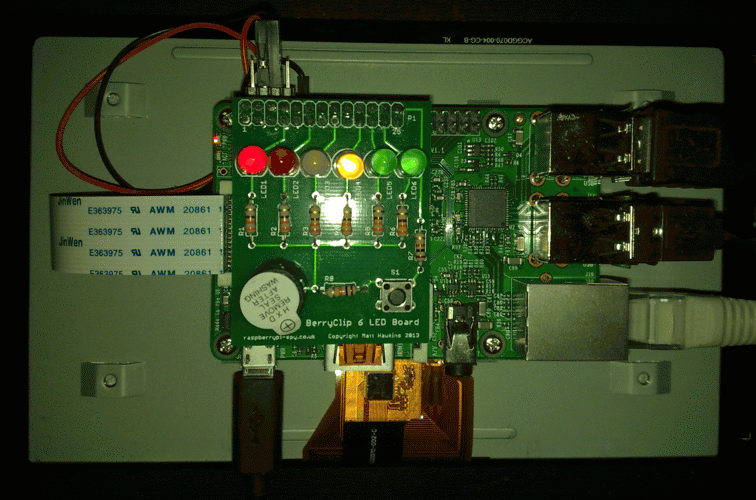 The BerryClip 6 LED Board is a add-on board for the Raspberry Pi. 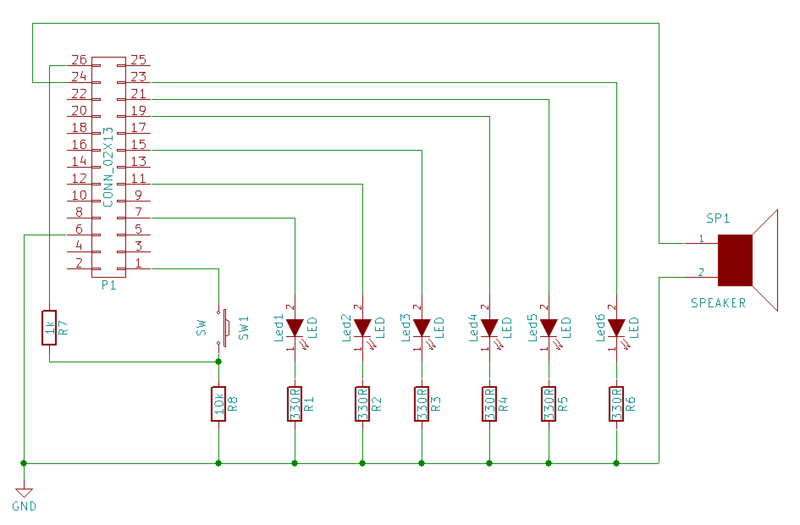 It consists of a PCB populated with 6 coloured LEDs, one switch and one buzzer. It is easy to attach to the Pi’s GPIO header. The following example lists a program that controls berryClip. The code requires to be run as root (eg. sudo ./berryclipdemo). The user interface consists of the buttons that control the LEDs and buzzer. In addition, the switch status is displayed on LED. LEDs state on the circuit board is displayed with the LEDs on the form. 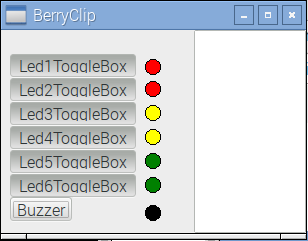 The berryclipdemo program uses the following components: TApplicationProperties, TButton, TShape and TToggleBox. This page was last modified on 4 January 2017, at 21:07.